New Zealand PM applauds police and worshippers - SABC News - Breaking news, special reports, world, business, sport coverage of all South African current events. Africa's news leader. Jacinda Ardern has called on everyone to remain alert. She has promised action in response to the attack. 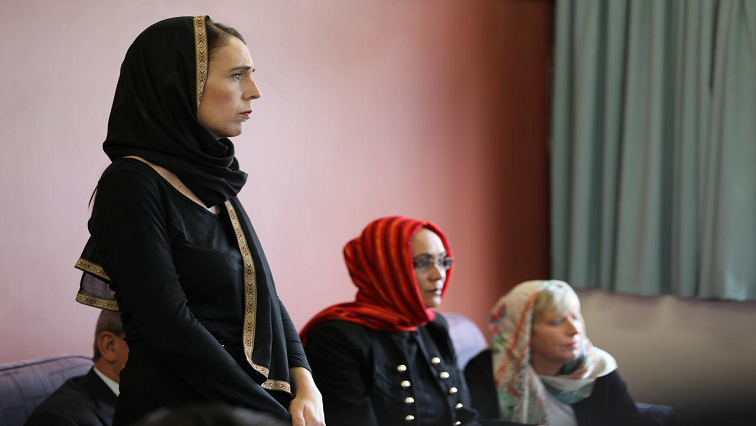 New Zealand Prime Minister Jacinda Ardern has applauded the police and worshipers during what she called the country’s darkest days. Addressing the opening of parliament, Arden called on everyone to remain alert or give the suspect of the Christchurch shootings notoriety. Ardern has promised action in response to the attack. She also said some things will have to change. Ardern says the want all members of the community to feel safe. New Zealand immigration said scores of visas have been granted for travelling family members to attend the funerals and teams of volunteers were flown in to assist with the Muslim rituals for their burial. On the grass outside a church in New Zealand lie 50 pairs of white shoes, each representing one of the lives lost in a mass shooting at two mosques in the community just a few days ago. “One of the sorts of things we’re aware off was the tradition of taking off your shoes as you went into worship. And suddenly the thought that there were 49 and 50 pairs of shoes that would never be filled again, was just an image that just kept coming back,” said Megan Merles-Mooar, Vicar of All Souls Church. Meanwhile, New Zealander farmer John Hart has owned semi-automatic rifles for at least 10 years, but following the mass shooting in Christchurch last Friday that left 50 dead, he has surrendered his weapons to the local authorities. The city of Christchurch has come together in mourning following the attack. Australian Brenton Tarrant, a suspected white supremacist, was charged with murder on Saturday. He’s due back in court on 5 April, where police say he’ll likely face more charges. This entry was posted on 19 Mar 2019,03:07PM at 3:07 PM and is filed under World, Homepage Featured Story Slider. You can follow any responses to this entry through the RSS 2.0 feed. Both comments and pings are currently closed.